Synopsis: Cassandra Clare meets Phryne Fisher meets Patricia Cornwell in this launch of a blockbuster series set in 1920s New York about a teen psychic and her similarly gifted friends on the hunt for a serial killer. What it's about: A series of brutal murders has rocked 1920's New York City. Evie, a teen girl with special powers, is assisting her uncle in the case. However there other characters with other stories going on at the same time. What I thought: My first thought was how long this book was. My second thought was how (at first) it was confusing with all the characters and their separate stories that of course, eventually intertwine. But despite my initial reservations, and slogging through until the end, this book was absolutely amazing. I have no doubt it would have been hard to come up with all these different characters with their different lives and to perfectly join them together like a puzzle, and Libba Bray pulled it off outstandingly. While Evie was a great main character, she was not my favourite. Bray has given us a wonderful collection of characters to love and sometimes hate, but all in all, we just want to be in their world. 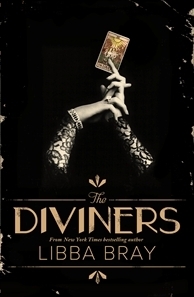 The Diviners could have been a fantastic stand-alone book, but to know that it's the first in a series will leave you craving for more. The Good: The surprise you feel when you think you have figured out the twists and your wrong. Amazing. The Bad: This is a book that has to read within one sitting. I found that when I put it down and left it for awhile that it took awhile to remember what I had previously read, as there are so many characters and scenario's going on at once. Never heard of this book before but it looks great! Just wondering - you say this book is long, how many pages is it? I am really looking forward to reading this, but wow is a long book. Great review.